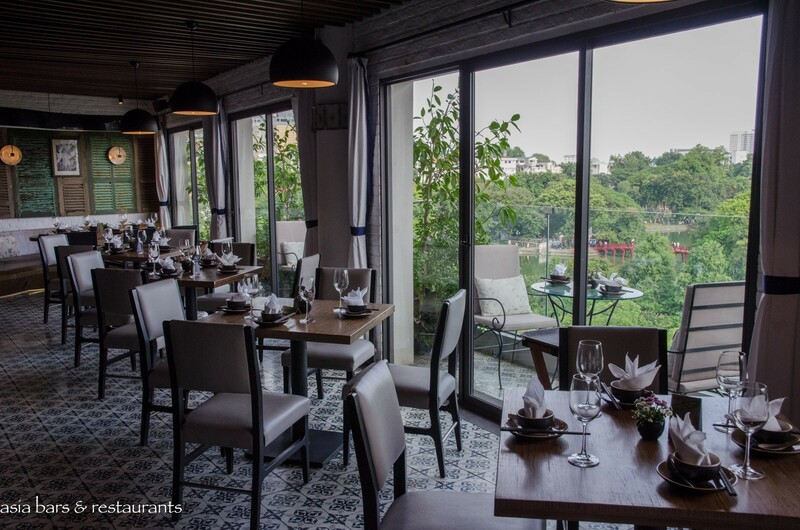 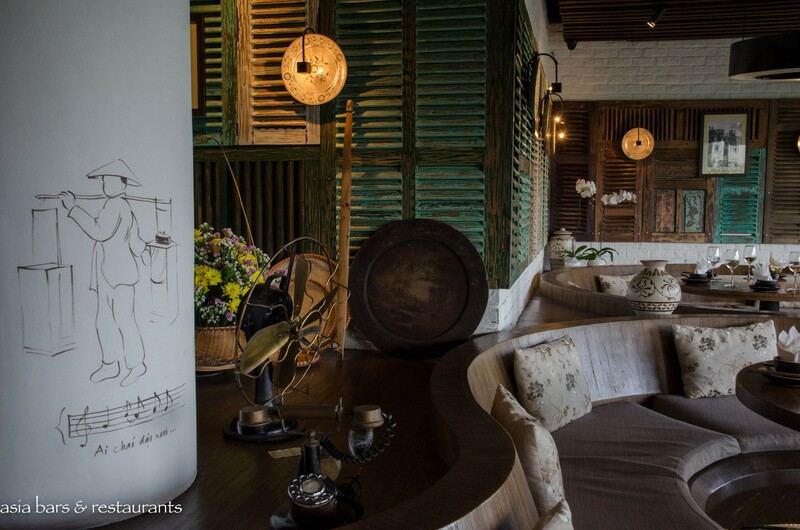 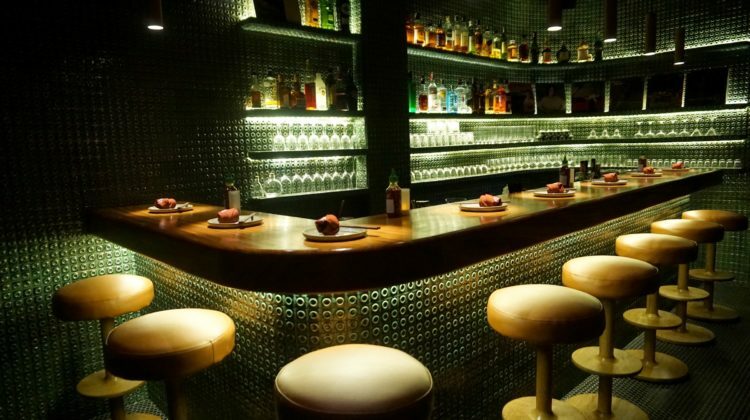 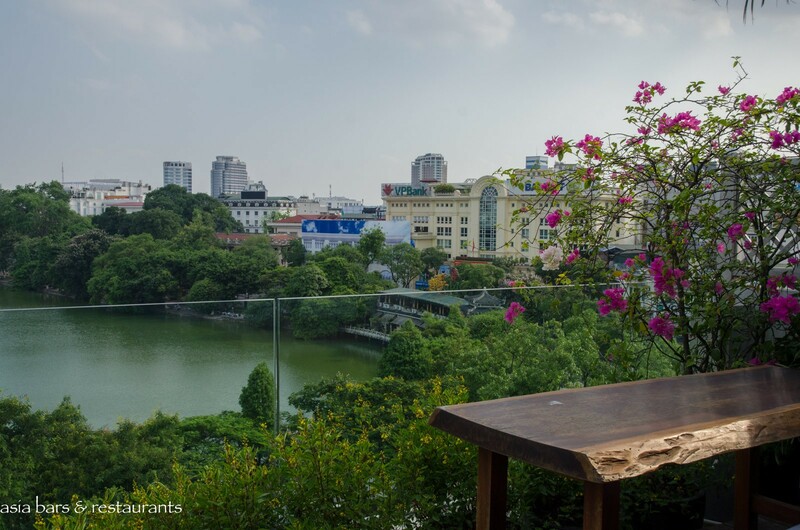 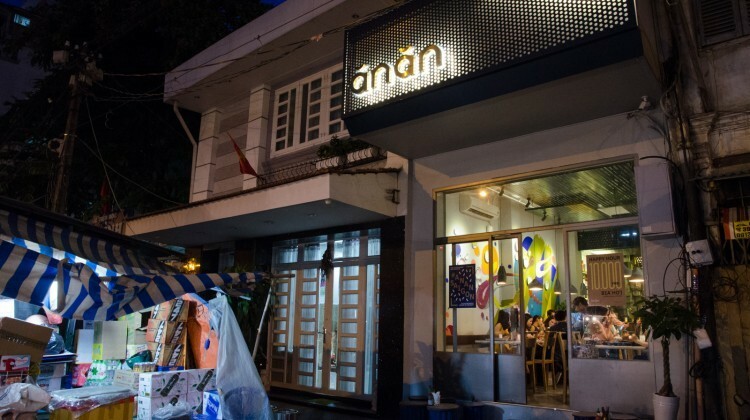 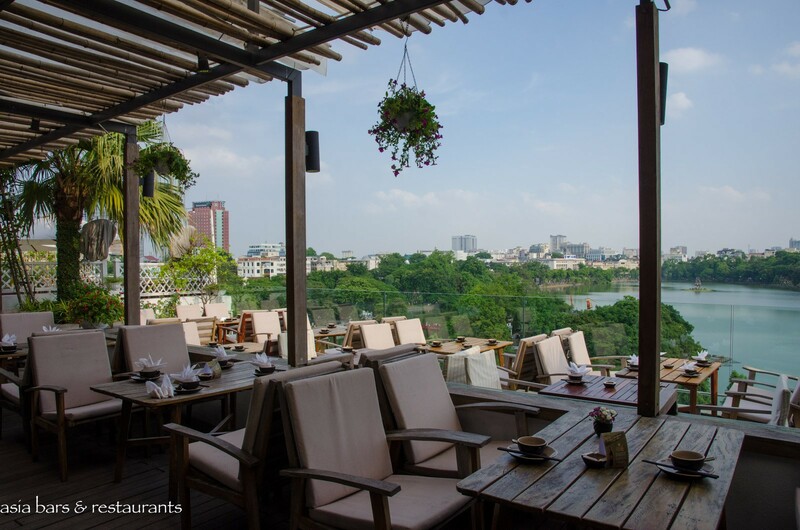 Enjoying an idyllic setting on the fringe of Hanoi’s Old Quarter, Cau Go Restaurant has become widely acclaimed for its contemporary Vietnamese cuisine and spectacular destination dining and rooftop terrace experiences since its 2014 opening. 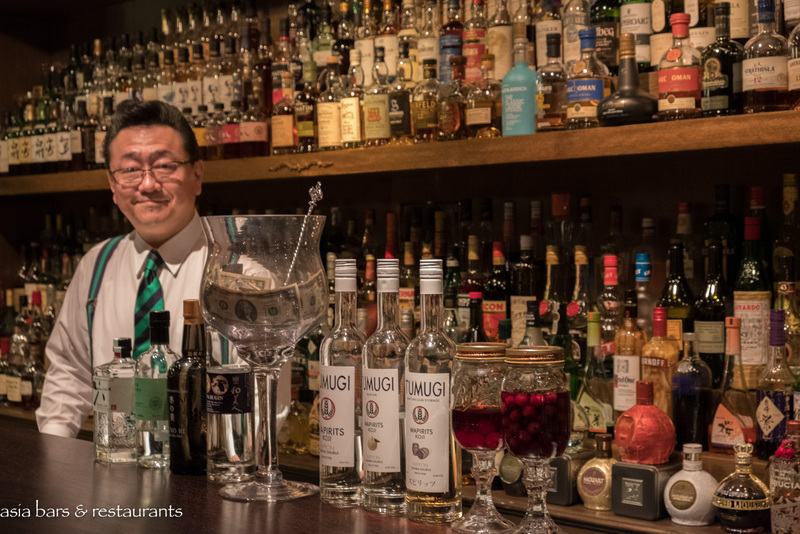 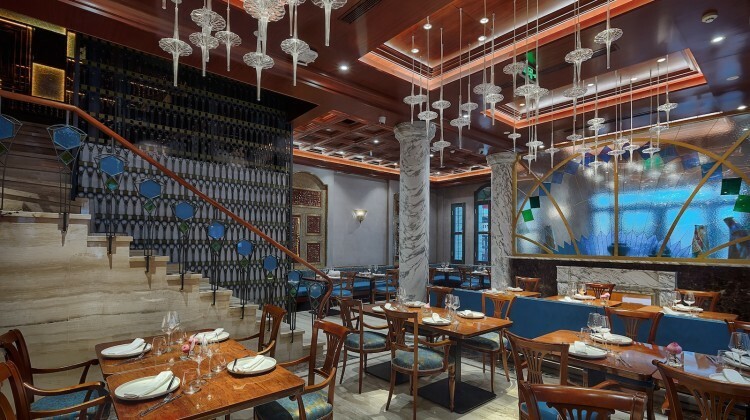 Occupying the upper two levels of a lakeside building, the meticulously designed and decorated restaurant references the heritage of its Old Quarter location infused with an understated elegance. 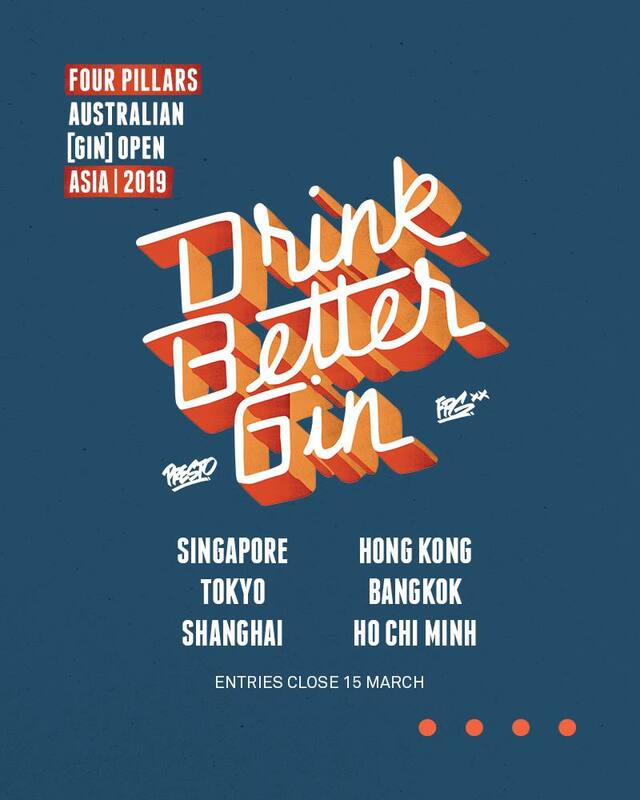 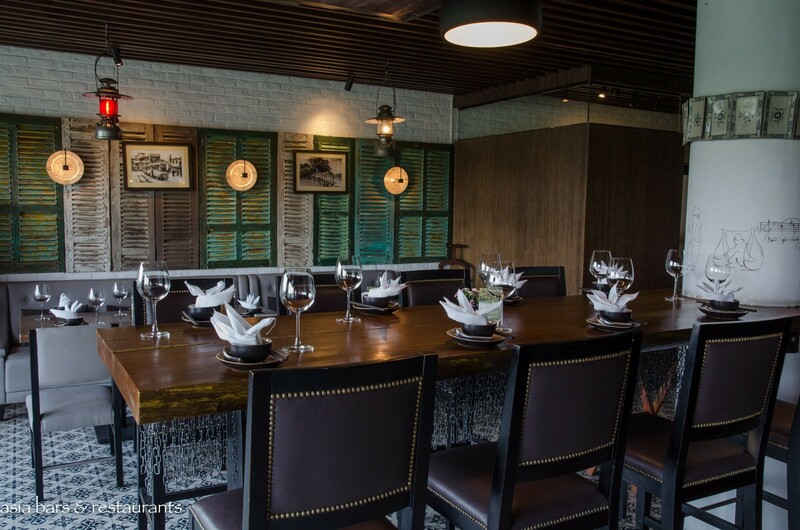 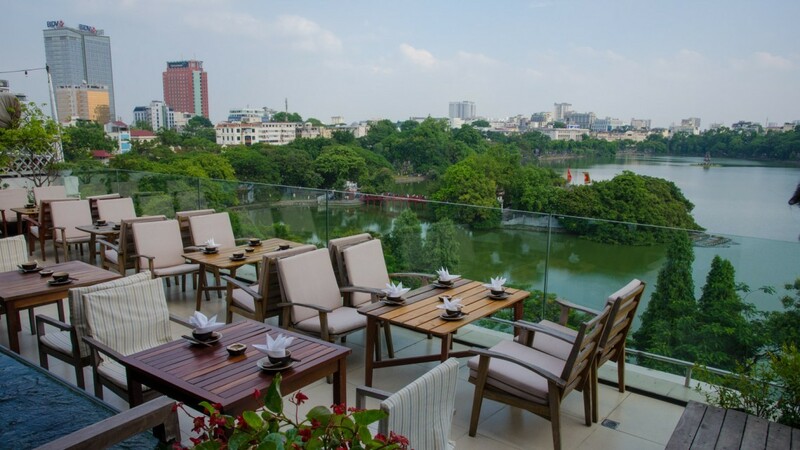 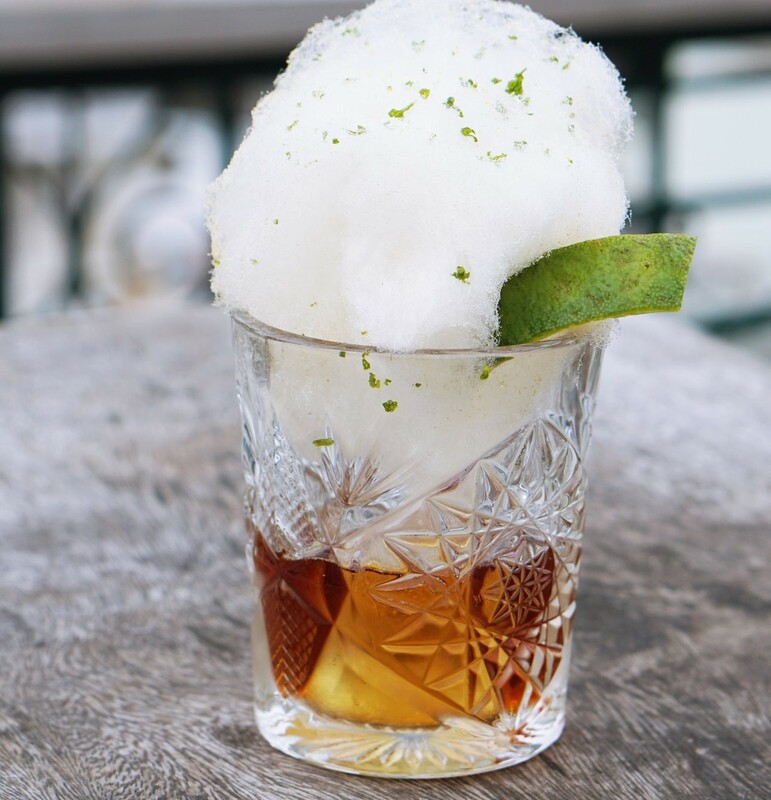 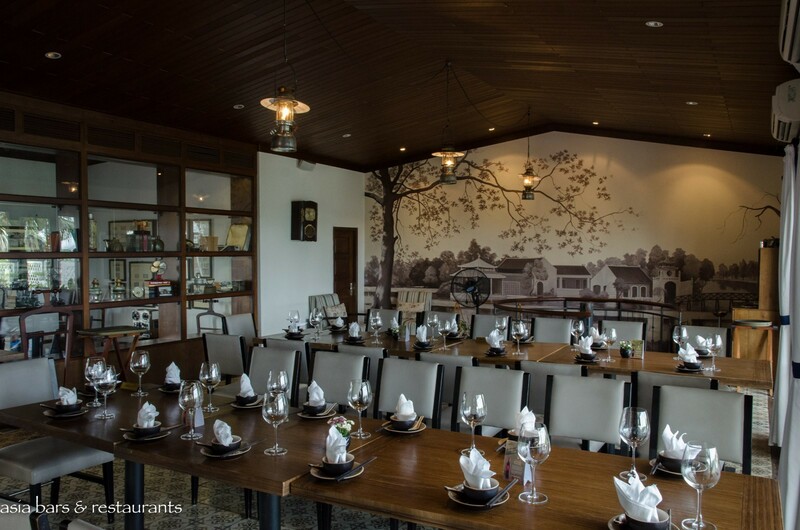 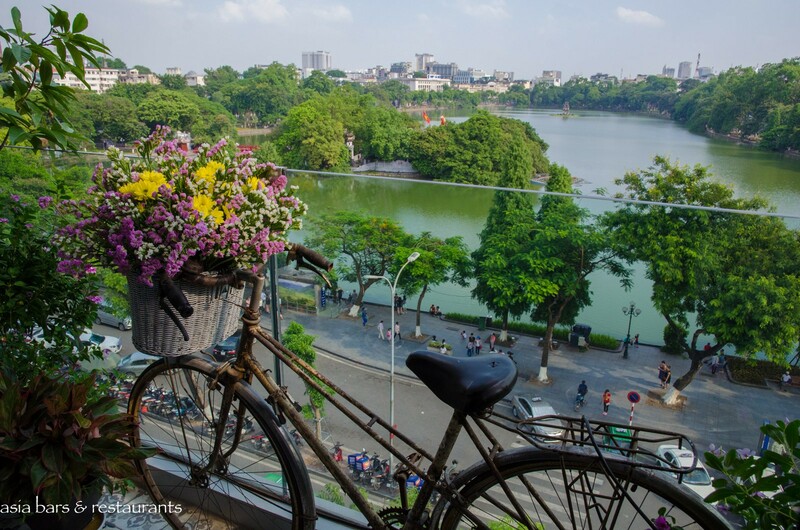 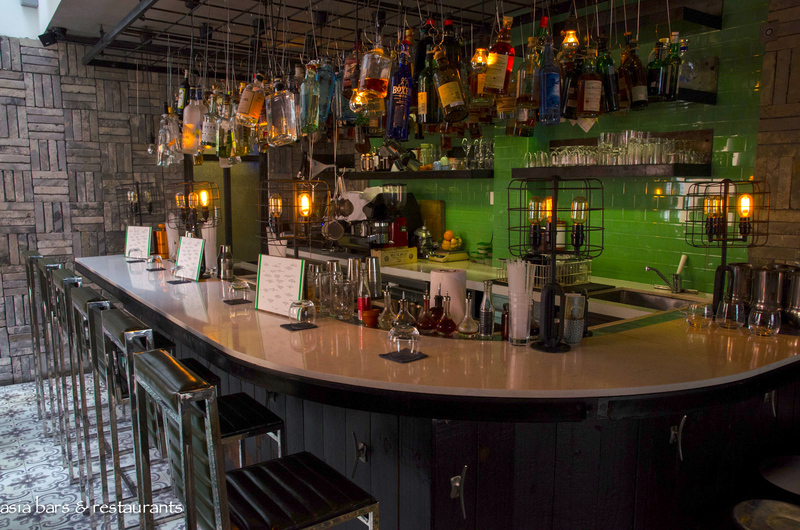 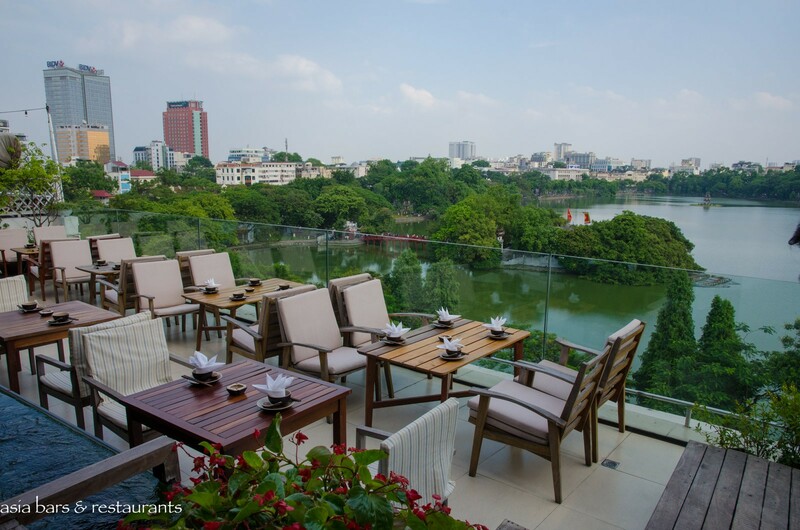 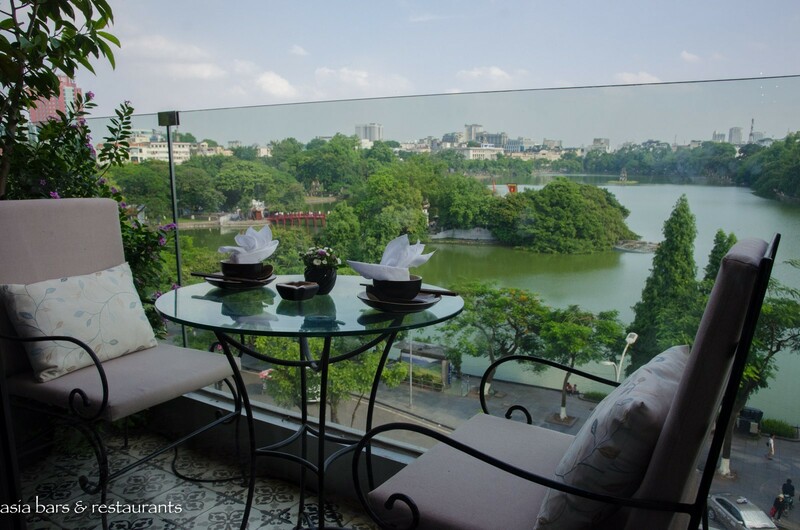 At the open-air rooftop terrace, the contemporary chic decor entices a laid-back vibe for more a casual dining and drinks atmosphere while guests are immersed in the unobstructed panoramic views across the historic Hoan Kiem lake and its surrounds. 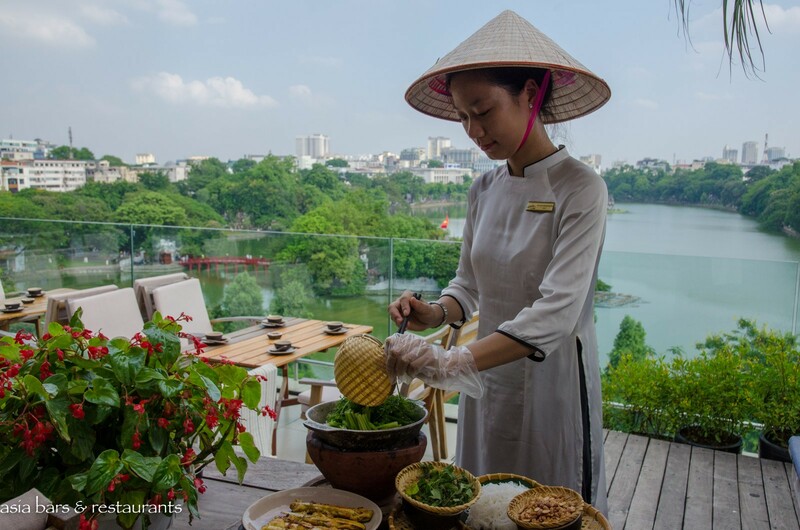 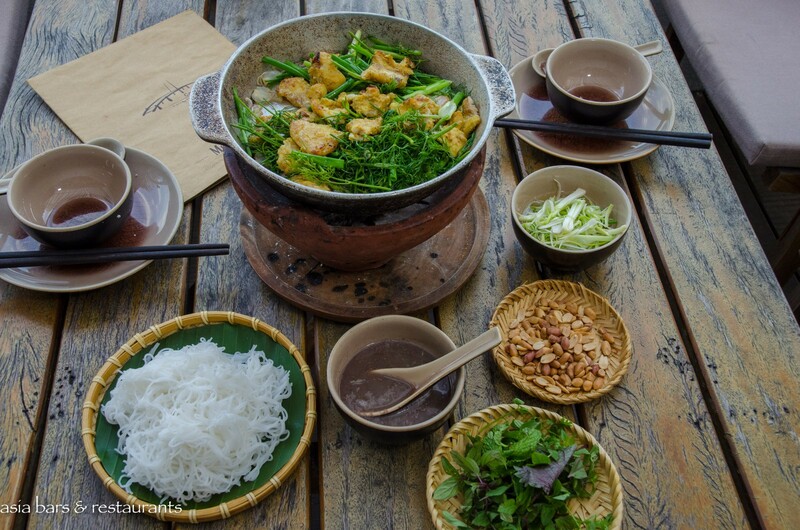 Renowned for their authentic renditions of both local and regional Vietnamese cuisine, the culinary team at Cau Go Restaurant prepare dishes grounded in fresh seasonal produce, carefully balanced with the distinctive flavours of herbs and spices. Lightly cooked with traditional techniques, the flavourful cuisine is elevated with modern culinary sensibilities for a memorable dining experience. 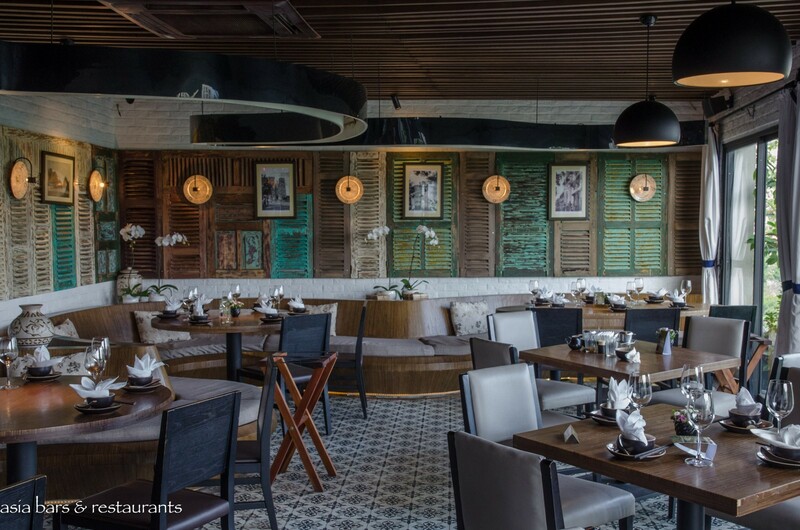 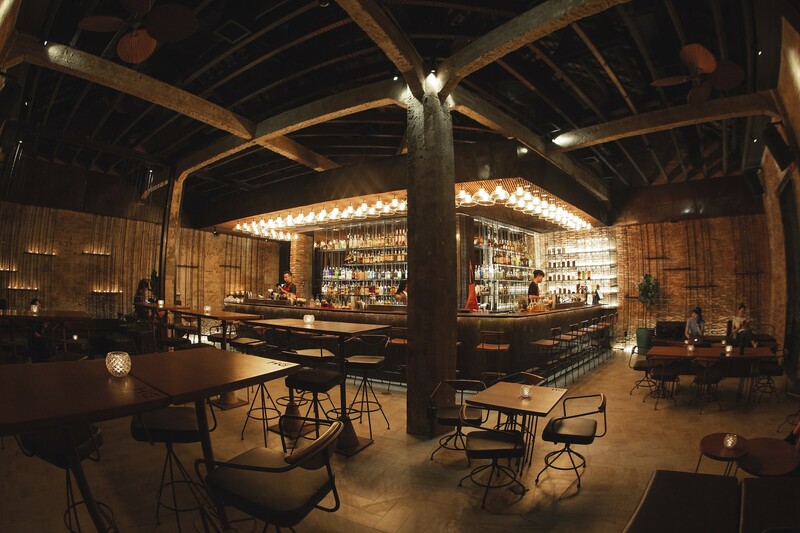 Design Inspiration from its historic location has been manifested in the characterful interiors at both levels of Cau Go Restaurant (meaning “wooden bridge” – the restaurant takes its name from the iconic lake bridge it overlooks). The contemporary interior decor of the main 5th-floor dining level is accented with reclaimed timber window shutters plus an eclectic collection of antiques referencing the French colonial era. 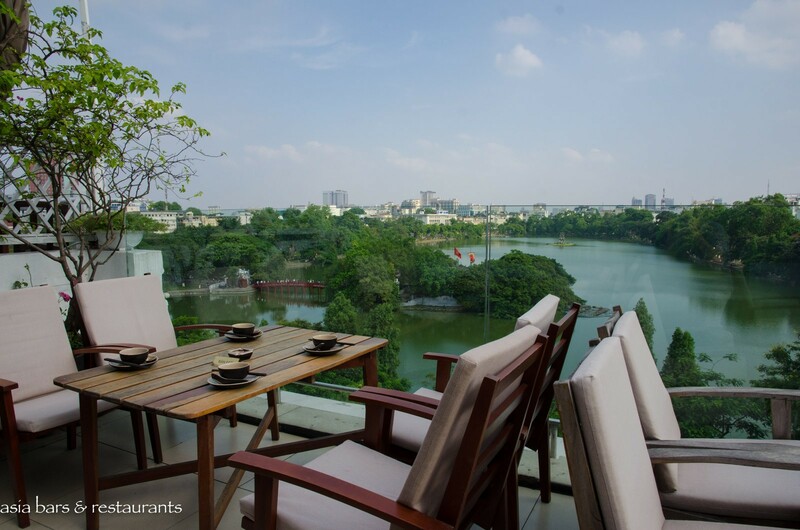 At the upper level, the contemporary furnishings of the indoor dining and private room spaces, transition seamlessly to the casual outdoor décor of the terrace deck – where every table enjoys superb views across the lake surrounds. 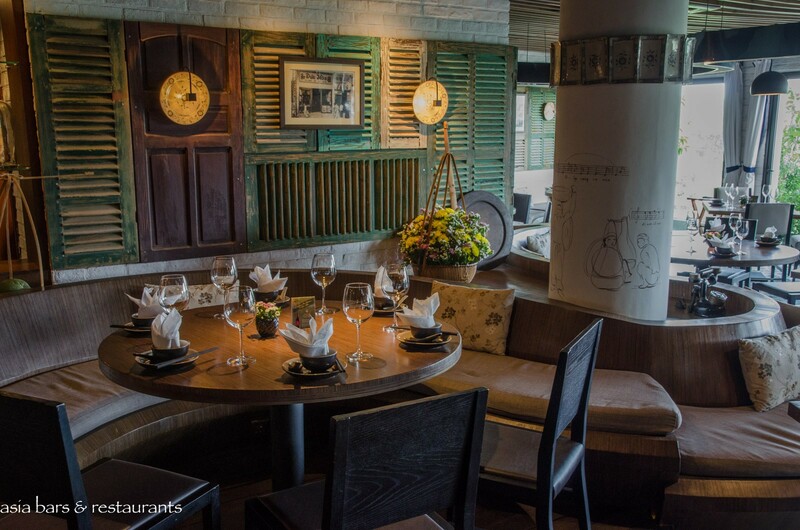 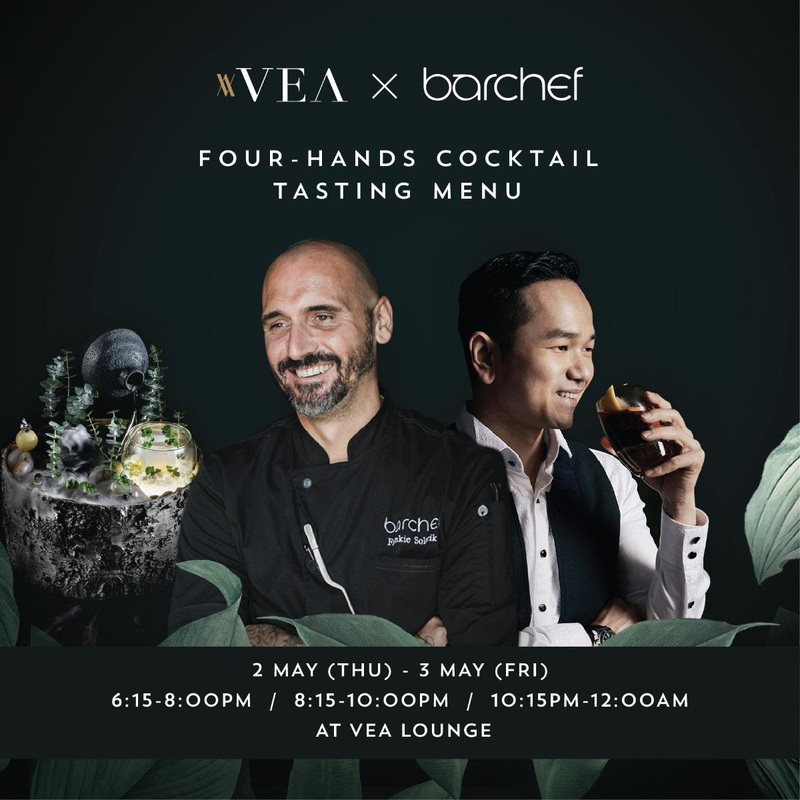 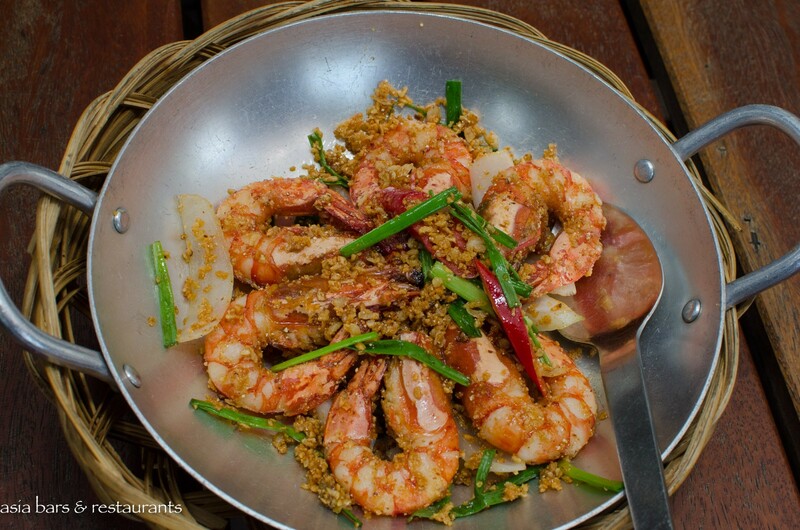 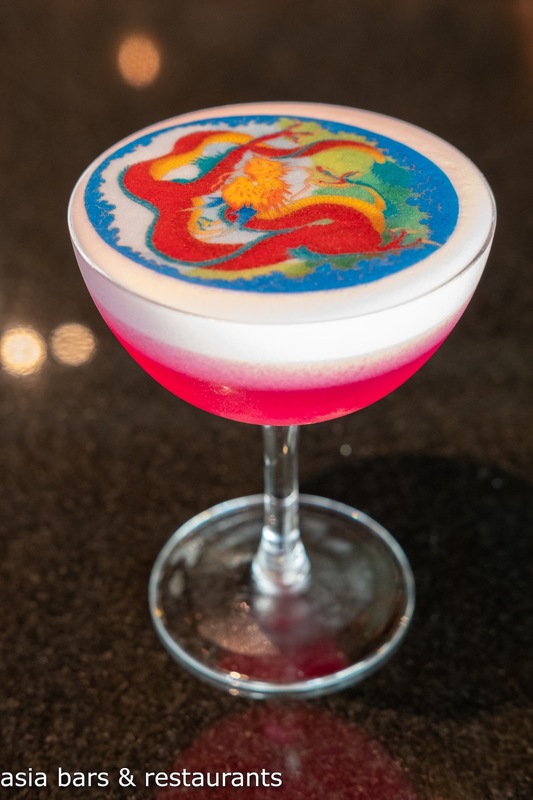 Cuisine Heading up the Cau Go kitchen, Executive Chef Dao Thi Bay draws on over 20 years of experience cooking regional Vietnamese cuisines with a menu designed to highlight the authentic dishes from Hanoi, Saigon and Central Vietnam. 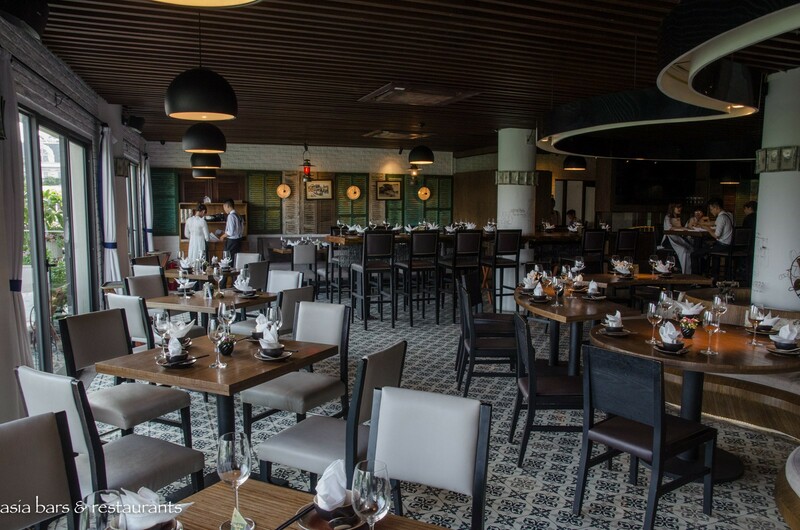 Signature dishes created by Chef Bay masterfully combine contemporary influences with culinary traditions to create dishes like the Home-made Tofu with lemongrass and chili; and Soft Shell Crabs with tamarind sauce; while popular dishes that exemplify the distinctive northern Vietnamese cuisine include the Grilled “lăng” fish with Vietnamese five spices; and Stewed crispy pork spare rib with eggplant. 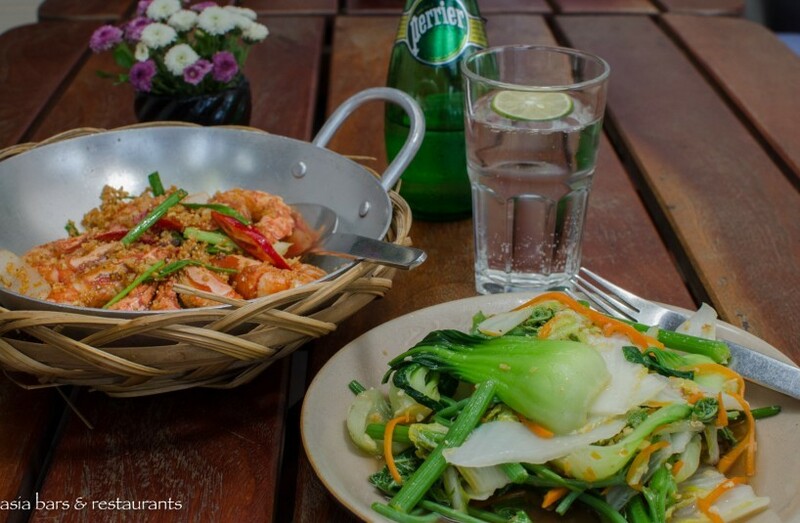 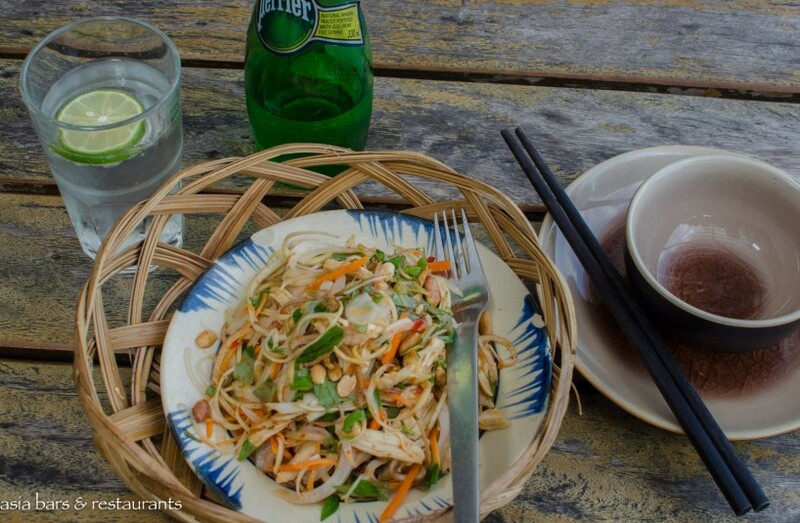 Open daily from 10am, Cau Go Restaurant serves an a la carte menu, plus drinks and snacks all day. 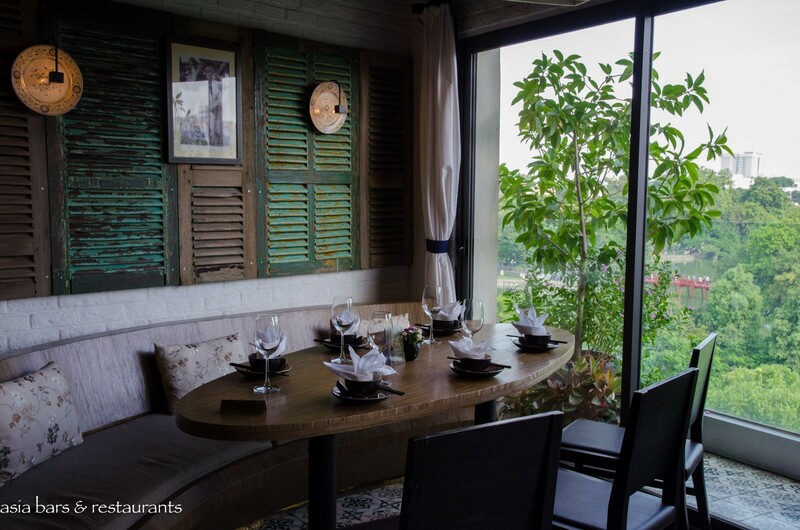 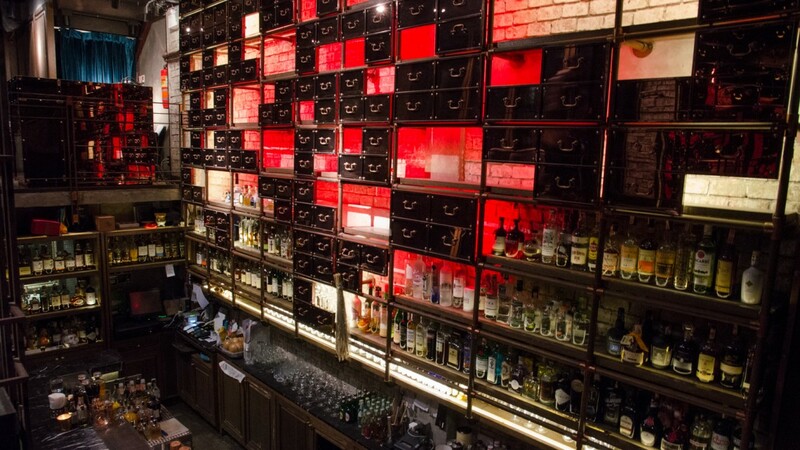 Reservations are recommended for the evenings. 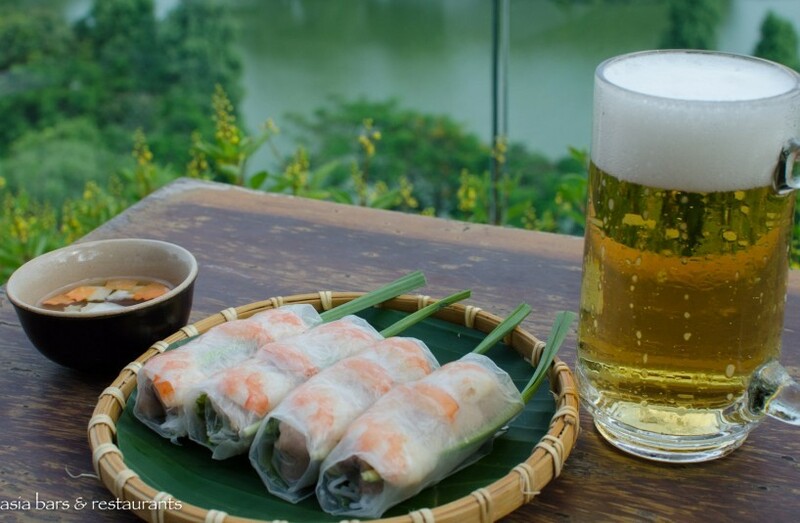 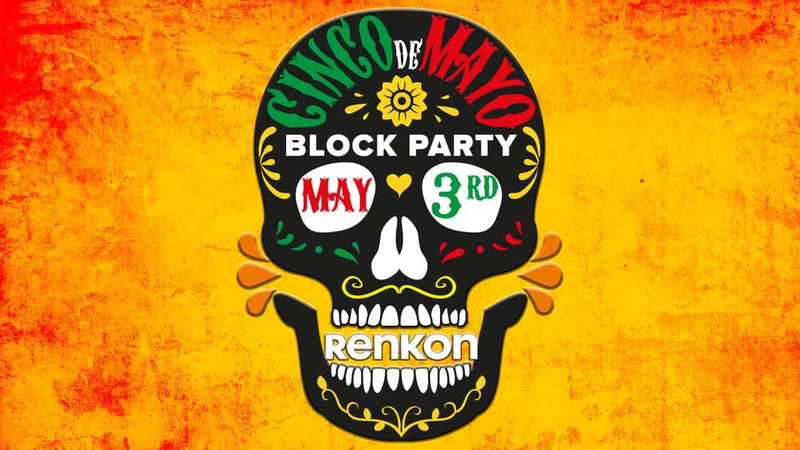 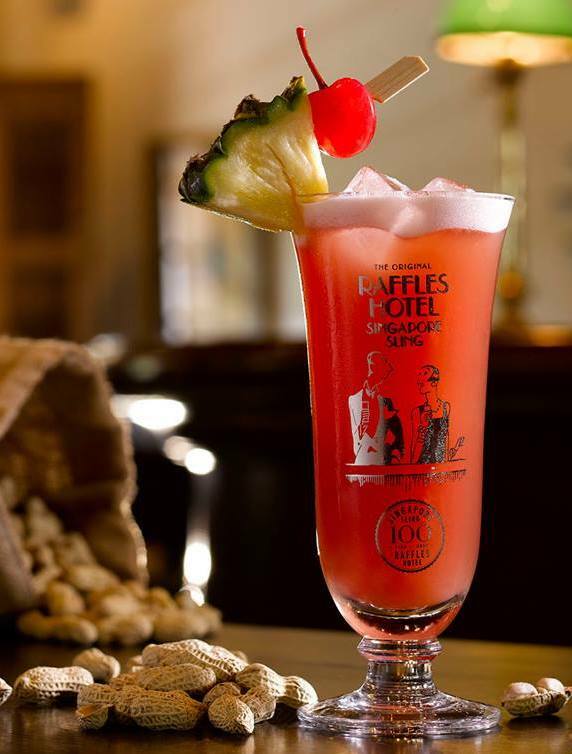 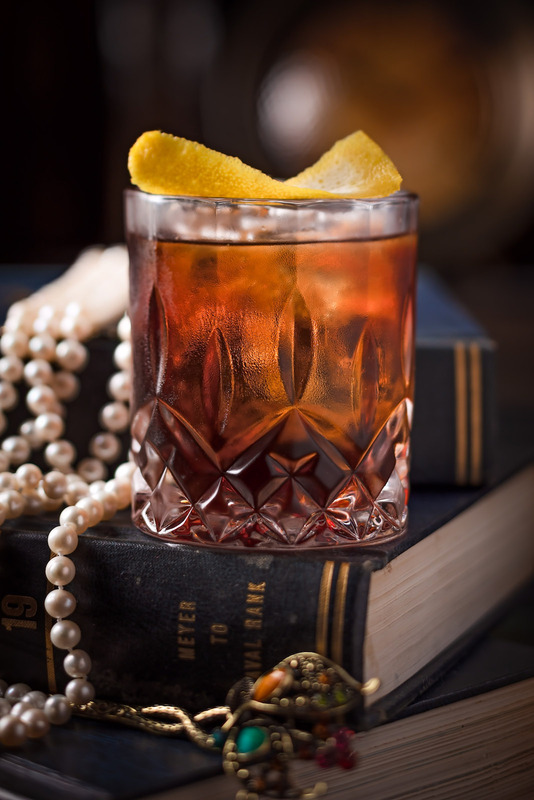 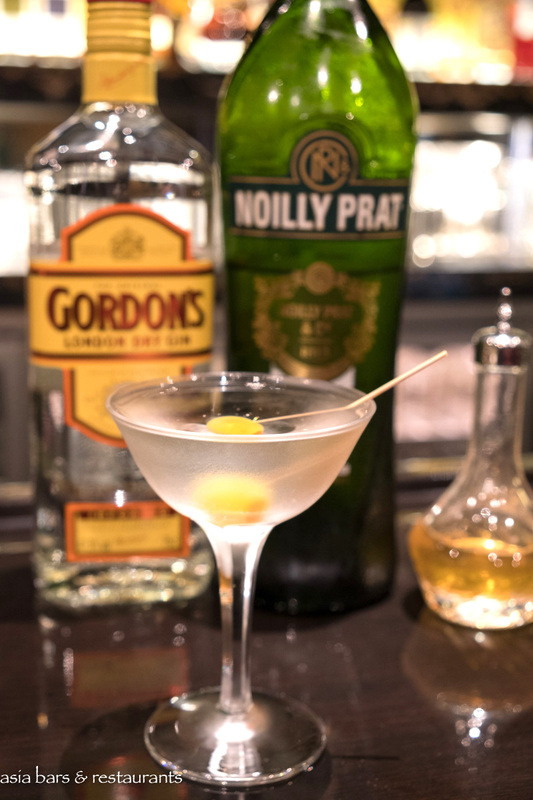 And check the Facebook Page for monthly menu promotions and Happy Hour deals. Traditional grilled Lang fish with local herbs and spices, fish paste.